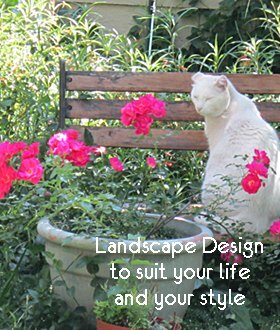 An art form, landscape design at its best enhances the natural beauty of your home or business premises and can add significant value to your property, making it look inviting, harmonious and attractive throughout the year. Indigo Landscapes offers the ultimate solutions to all your gardening needs from conceptualisation to the completion. We believe that the essence of natural gardening is working with nature to establish a harmonious balance between people and their environment. Indigo Landscapes' approach to landscape design transforms your outdoor surroundings to suit your taste and needs through the blending of trees, shrubs, flower beds and grasses with architectural elements like stone walls and paths, wooden fences, brick pathways, statuary, fountains, benches and lighting. Contact Indigo Landscapes to find out more about how we can create your ideal garden.